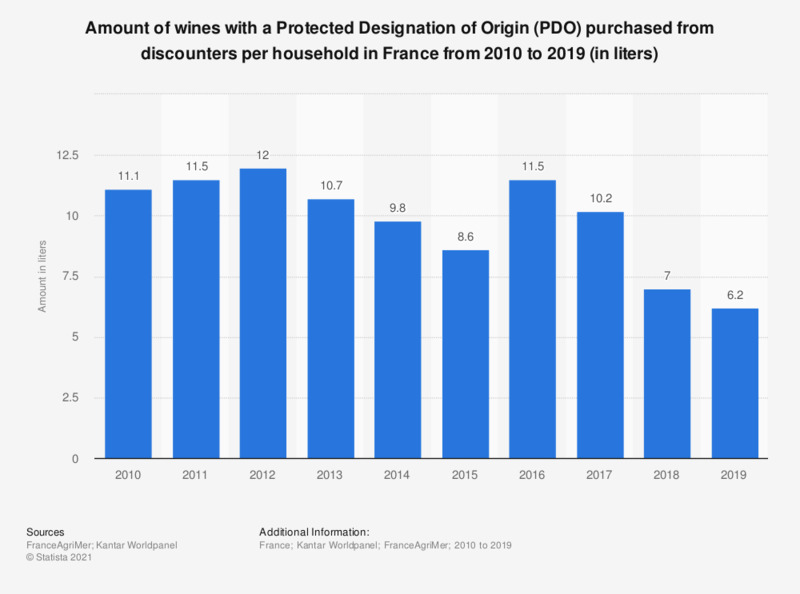 This statistic shows the amount of AOP wine purchased from discounters per household in France from 2010 to 2016. The figures reveal that in 2012, the purchased amount of AOP wine from discounters reached a peak of 12 liters and has since declined. The AOP (Appellation d'Origine Protégée) appellation stands for the highest French wine category.